The WFP is the food-assistance branch of the United Nations. It works to help people who cannot produce or obtain enough food for themselves and their families. It was established in 1961 after the 1960 Food and Agricultural Organization (FAO) Conference. Its headquarter is in Rome (Italy) and has more than 80 country offices around the world. It is a member of the United Nations Development Group (UNDG) and part of its Executive Committee. The Chakmas and the Hajongs were originally inhabitants of the Chittagong Hill Tracts of erstwhile East Pakistan (now Bangladesh) who were systematically forced out of that country. First, they were displaced from their original homesteads because of the Kaptai hydroelectric dam on the Karnaphuli river in the early 1960s, and there was no rehabilitation and compensation. Later, they became victims of religious persecution in East Pakistan, and fled to India. It is important to note that while the Chakmas are Buddhists, the Hajongs are Hindus. In the year 1947, the Chittagong Hill Tracts, which was a deeply forested, mountainous, area bordering Tripura, Mizoram and Myanmar, with a majority Buddhist population (about 97 per cent), was awarded to Pakistan. In 1962, the Pakistani government imposed further misery on the Chakma tribe by building the Kaptai dam. Approximately 40,000 Chakma tribals, who had lost their homes and farmland due to flooding, emigrated to India as refugees. India, facing its own war in 1962 on the north-eastern border, offered 2,902 Chakma refugee families resettlement in Arunachal Pradesh. It was only in the year 1996, with the Supreme Court pushing the State government to protect the Chakmas, did the harassment decline. It is also important to note that although all of them were treated as refugees originally, the Government of India decided to grant them citizenship under Section 5(i)(a) of the Citizenship Act on the basis of a joint statement by the PMs of India and Bangladesh in 1972. The State of Arunachal Pradesh, which came into being the same year, immediately opposed this, and continues to do so. The state has been repeatedly saying that it could not permit “outsiders” to settle on its territory because that would adversely affect its demography, and stretch its limited resources. Despite the opposition, however, about 1,500 Chakmas have their names in the state’s electoral rolls. Last year, 2017, the Centre decided it would grant citizenship to Chakma and Hajong refugees living in the Northeast while ensuring that the rights of indigenous people are not diluted. The issue had been discussed at a meeting convened by Union Home Minister Rajnath Singh and attended, among others, by Arunachal Pradesh Chief Minister Pema Khandu, Union minister Kiren Rijiju and National Security Adviser Ajit Doval. Rijiju, who hails from Arunachal Pradesh, said later that the Centre will urge the Supreme Court to modify its order granting citizenship to Chakma-Hajong refugees so that the rights of the indigenous people of Arunachal Pradesh are not diluted. 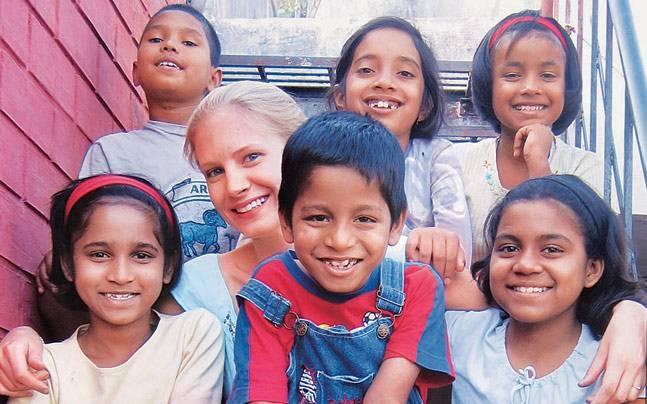 Currently, India hosts over 2,00,000 refugees. 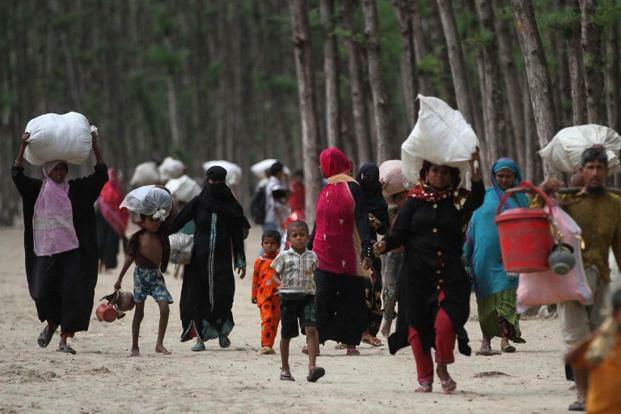 These refugees are victims of civil strife and war in Tibet, Bangladesh, Sri Lanka, Pakistan, Afghanistan and Myanmar. Some refugees, the Tibetans who arrived between 1959 and 1962, were given adequate refuge in over 38 settlements, with all privileges provided to an Indian citizen excluding the right to vote). From an Indian context, the Foreigners Act (1946) and the Registration of Foreigners Act (1939) currently govern the entry and exit of all refugees, treating them as foreigners without due consideration of their special circumstances. Refugees have been accorded constitutional protection by the judiciary. The National Human Rights Commission vs State of Arunachal Pradesh, 1996 case lends testimony to this. Honourable Supreme Court of India has held that the right to equality (Article 14) and right to life and personal liberty (Article 21) extends to refugees. However, it is also important to note that India remains the only significant democracy without legislation specifically for refugees. Critics have pointed out that a well-defined asylum law would establish a formal refuge granting process with suitable exclusions (war criminals, serious offenders, etc.) kept. It is also critical to note that India still remains a non-signatory to 1951 United Nations Refugee Convention and the 1967 Protocol, which help define the legal obligation of states to protect refugees. The society considered as a community of citizens linked by common interests and collective activity is a civil society. It is the aggregate of non-governmental organizations and institutions that manifest interests and will of citizens. It is referred to as the third sector of the society distinct from government and business. What is the need for civil society? The modern democratic state with the technologies of surveillance and control possesses such power that has never been seen in the history. Yet, there are citizens that are vulnerable and helpless despite the rights they possess, if the democratic state decides to terrorise, kill and drill fear in them. The market in present times lacks moral sense. It is supremely indifferent to human suffering. It has neither sympathy nor room for citizens exploited by the state, and by its own need for resources, labour, and profit. Such a scenario calls for the intervention of civil society to protect the interest of the citizens. As it is the only sphere that stands between the individual and the state. Associations have the capacity to challenge the violent power of the state through petitions, protests, dharnas and ultimately judicial activism. When the political parties are unresponsive, citizens can access centres of power and privilege only through a vibrant civil society. What has been the role of Civil Society in India? The human rights groups have become the custodian of the Fundamental Rights chapter of the Indian Constitution. They have investigated cases of arbitrary imprisonment, custodial deaths, deadly encounters and coercion of any citizen who dares to speak up against the state or dominant groups. These organisations have carefully documented the causes and the triggers of communal and caste violence, and established an excellent archive on the abuse of power by governments. They have protected the rights of vulnerable sections of our own people, the Adivasis, the Dalits and Muslims. They have shouldered the fight for the rights of the oppressed. Not all civil society groups are involved in protecting the moral conscience of our society. Some are in the sole business of getting funds from the state or others. Some sections of media are often cowered down by their corporate bosses, and the temptation of fame. Few sections are involved in excessive protests, eventually hampering national interests. Too often, even progressive global civil society organisations do not meet the standards of accountability and transparency that they demand of others. Unhappily, the majority of Indians keep quiet when their own fellow citizens are tortured by the police, stripped of access to resources and livelihoods, lynched, exploited by corporate India, and neglected by the mainstream media. The government introduced an amendment to the Juvenile Justice (JJ) Act, 2015, in the Lok Sabha to empower District Magistrates with the authority to grant adoption orders. The amendment was proposed with the objective of avoiding pendency of cases. The bill seeks to empower the district magistrates to issue orders for adoption in order to avert inordinate delay by the courts in doing the same. It will make the adoption procedure faster for prospective parents, by avoiding delays in courts. The Act came into effect from January 15, 2016, with comprehensive provisions for the children allegedly found to be in conflict with law as well as those in need of care and protection. Preventive Detention is the most contentious part of fundamental rights in the Indian constitution. The Article 22 (3) of the Indian constitution provides that if a person is arrested or detained under a law providing for preventive detention, then the protection against arrest and detention under Article 22 (1) and 22 (2) shall not be available. Punitive Detention: Detention as a punishment for the crime committed by an individual. It takes place after the actual commission of an offence or at least after an attempt has been made. 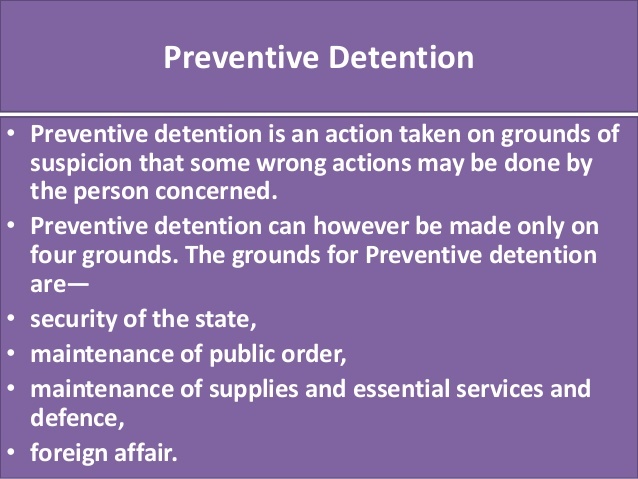 Preventive Detention: The imprisonment of a person with the aim of preventing them from committing further offences or of maintaining public order. Maintenance of supplies and essential services and defence. The judgment dealt with the case of a seed manufacturer in Telangana who was taken into preventive detention by the authorities on the allegation that he is selling spurious chilli seeds to poor farmers. Detention of a person was a serious matter affecting the liberty of the citizen. Hence, preventive detention cannot be resorted to when sufficient remedies are available under the general laws of the land for any omission or commission under such laws. The order of preventive detention, though based on the subjective satisfaction of the detaining authority, is nonetheless a serious matter, affecting the life and liberty of the citizen under Articles 14, 19, 21 and 22 of the Constitution. The power being statutory in nature, its exercise has to be within the limitations of the statute, and must be exercised for the purpose the power is conferred. If the power is misused, or abused for collateral purposes, and is based on grounds beyond the statute, takes into consideration extraneous or irrelevant materials, it will stand vitiated as being in colourable exercise of power. Yogendra Yadav, enroute Tiruvannamalai, to meet the farmers’ families who were apparently affected by the land acquisition for the proposed Chennai-Salem greenfield corridor project was arrested. It is one of the 17 specialized agencies of the United Nations. It encourages and provides assistance to all its 188 member countries in formulating national IPR policy however it does not dictate or prescribe any mandatory measures. Why is there delay in its appointment? The hiring of the Lokpal is held up on a technicality. The 2013 law stipulated the selection panel will be headed by the prime minister and will include the leader of the opposition, the speaker of the Lok Sabha, the chief justice of India and an eminent jurist. But the present Lok Sabha does not have a leader of the opposition. So, the government moved an amendment to the law to enable the leader of the single largest party to be part of the selection committee. However, the opposition called for closer scrutiny of some other provisions the government included in the amendment. The tweaked bill then went to a parliamentary committee which gave its suggestions last year. The government is yet to make a decision on this. What has the SC said? SC has said the Leader of Opposition is “dispensable” and things can proceed even without LoP who can be replaced by the leader of the largest opposition party in the committee. The Supreme Court has also expressed disappointment when the Centre said the amendment to replace LoP with the leader of the largest opposition party in the proposed selection committee of Lokpal is pending with Parliament and asking it to clear would amount to “judicial legislation”. SC has made it clear in a judgment that Lokpal and Lokayukta Act of 2013 an “eminently workable piece of legislation” and there is no justification to keep the enforcement of the Act under suspension till the amendments, as proposed, are carried out. If an appointment process done by a “truncated” Lokpal Selection Committee is already recognised under the 2013 Act, why should the government wait for any amendments at all. Government’s argument is that appointments of Lokpal chairperson and members is not currently possible, and would have to wait till the 2013 Act is amended to replace the LoP with the single largest Opposition party leader. Government has constituted eight-member search committee to recommend names for posts of Lokpal chairperson and members. The Supreme Court has set a February-end deadline for the search committee to send a panel of names who could be considered for the appointment as chairman and members of Lokpal by Prime Minister led selection committee. The names proposed by the search committee would be scrutinised by the selection committee headed by Prime Minister and comprising of Speaker of Lok Sabha, leader of opposition in Lok Sabha, Chief Justice of India or a sitting Supreme Court judge nominated by CJI and an Eminent jurist to be nominated by President of India on basis of recommendations of the first four members of the selection committee through consensus. What does sedition mean in India? 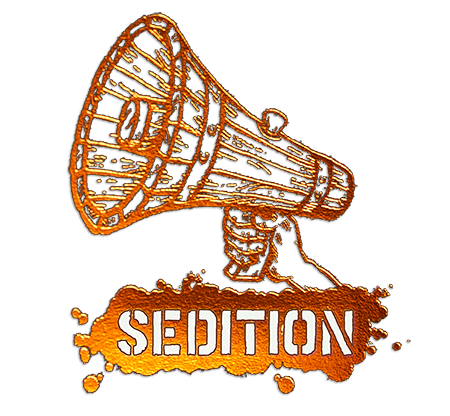 Sedition in India is defined by section 124 A of the Indian Penal Code. Section 124A was introduced by the British colonial government in 1870 when it felt the need for a specific section to deal with radical Wahabi movement of the 19thcentury, led by Syed Ahmed Barelvi and centred around Patna. Courts have deprecated the tendency to invoke this grave charge for mere expressions of critical views. SC has said that even words that indicate disaffection towards the government cannot be termed seditious, unless there is actual incitement to violence and intention to cause disorder. Civil rights activists and legal experts have long asserted that the State authorities have been misusing the sedition law to target citizens who simply express their legitimate views. Moreover, the trial courts have mostly disregarded or ignored the Supreme Court’s interpretation of sedition law. A Constitutional Bench of SC upheld the validity of Section 124-A but laid down that a person can be charged with sedition only if there is incitement to violence in his speech or writing or an intention or tendency to create disorder or disturbance of law and order. Supreme Court held that criticising and drawing general opinion against the government’s policies and decisions within a reasonable limit that does not incite people to rebel is consistent with the freedom of speech. Pointed out the incompatibility of the laws of sedation. Effort to ban publications on the purported threats that they pose to public safety were ruled unconstitutional. The Law Commission has said that a person should not be charged with sedition for “merely expressing a thought that is not in consonance with the policy of the Government of the day”. It has said that the stringent sedition law should be invoked only in cases “where intention” behind the act is to “disrupt public order or to overthrow the Government with violence and illegal means”. Likewise, mere expressions of hate, and even contempt for one’s government, are not sedition. When a person is dubbed “anti-Indian”, it is distasteful to India’s citizenry, but then to be “anti-Indian” is not a criminal offence, and it is definitely not “sedition”. Citizens in India are free to criticise their governments at the Centre or in the states — which they do quite frequently, and boldly and fearlessly as well; as they must, because that is what a participatory democracy is all about. Baliable: all speech-related offences should be made bailable offences; this would lessen the harmful impact of using arrest and custody as a way of harassing anyone exercising their rights under Article 19(1)(a). Non Cognisable: the offences should be made non-cognisable so that there is at least a judicial check on the police acting on the basis of politically motivated complaints. Prior Government Sanction: For some laws it is mandatory under Section 196(1) of the Code of Criminal Procedure to obtain prior sanction of the government before taking cognisance of the offences. This needs to be extended to the offence of sedition under Section 124A. Burden of proof: In the case of hate speech, it is important to raise the burden of proof on those who claim that their sentiments are hurt rather than accept them at face value. Deterring action: And finally, it is crucial that courts begin to take action against those who bring malicious complaints against speech acts. What SC has to say? The acts must be intended to have the “effect of subverting the government” by violent means. What is the case? Citing misuse of law, petitioner wanted SC to direct government to amend the Act. Facts are : 47 cases of sedition were filed in 2014 alone and 58 people arrested in connection with these cases. SC refused to give directions.